Bull's-Eye is pleased to present the final re-brand stationery system for Disc-O-Bed. 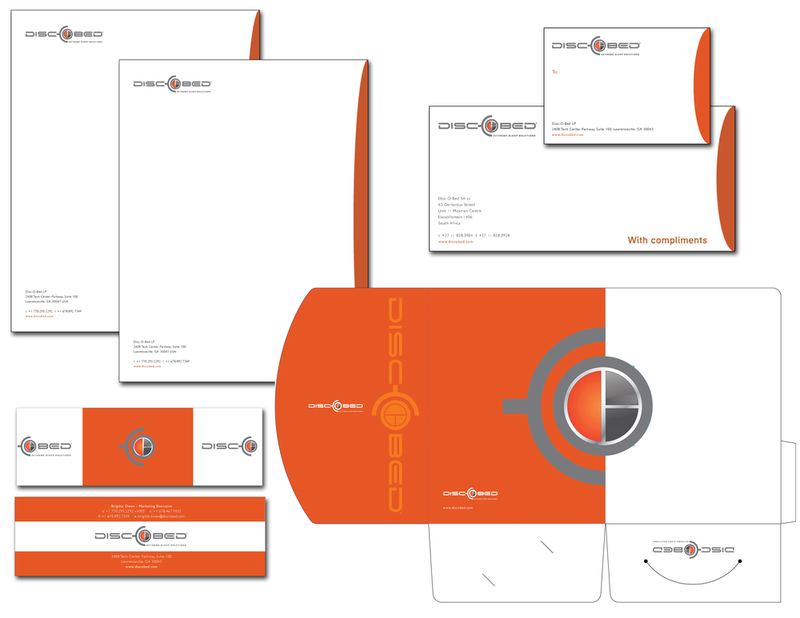 Disc-O-Bed's new stationery system includes business card, letterhead, 2 sheet letterhead, mailing label, compliment slip and a pocket-folder. Disc-O-Bed is a South African company that develops sleep solutions for the needs of disaster relief, health emergencies, and troop deployment. Disc-O-Bed’s patented sleep system attracts relief organizations, the military, outdoor enthusiasts and in-home users alike who value a good night’s sleep on location, whenever space is at a premium.